There is nothing more frustrating then hitting the trails and having problems with your bike. To avoid frustration on the trails local riders have been dropping their bikes off for the shop guys for years… and these guys get results! If you want your brakes to hit a little harder, your derailleurs to shift a little faster, or your suspension to suspend a little better you should stop in for a free estimate. You won’t be disappointed. We service everything from tricycles to road bikes, recumbents to downhill rigs. We offer free estimates on all bikes and no repairs will be made without approval. All bikes are completed on a first come first served basis however, special order parts may delay the completion of you bike. 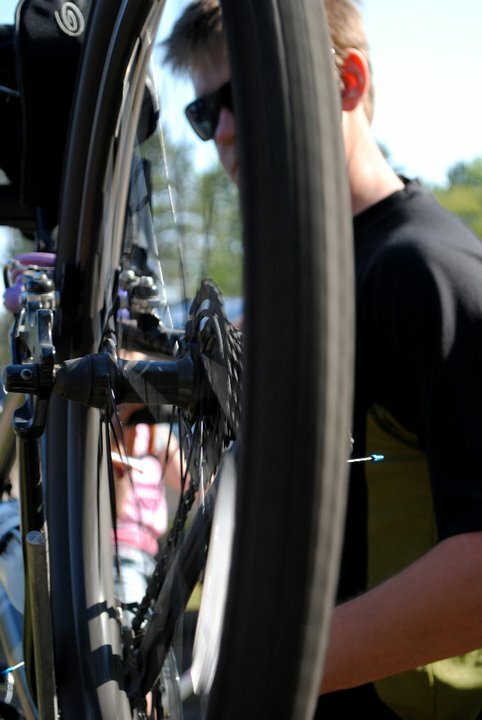 We make every attempt to service your bike in a timely manner. The average turn around time is 2 days. Bikes that require same day service will be charged an additional 50% on all labor if it means delaying another customer’s service.